Offering an extensive range of waxing services, both of our walk-in salons in Peterborough and Leicester offer intimate and facial areas and regular strip waxing covering all areas of the body for both women and men. Why opt for waxing as a hair removal technique? Waxing is an effective method of removing large amounts of unwanted hair at one time. In such methods, wax is typically warmed to allow it to be spread easily over the skin in the direction of hair growth. Through this technique, the hair becomes embedded in the warm wax which firms up grasping the hair. The wax is then quickly pulled off in the opposite direction of the hair growth, which in turn pulls the hairs out of the follicles. Waxing results can last from 2- 4 weeks depending on hair growth and provides exceptional value for money with outstanding results. 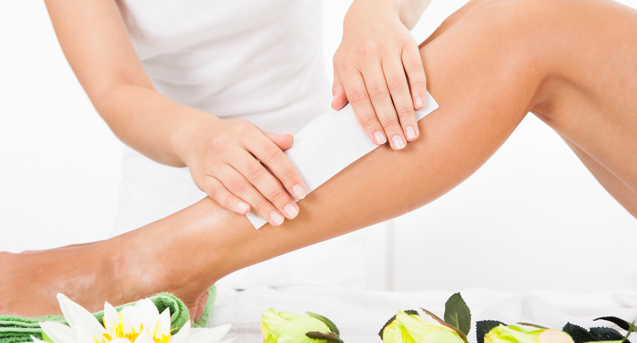 Waxing is suitable for the removal of all unwanted hair all over the body, including facial hair and intimate areas. Suitable for both men and women, at BBs Beauty and Brow salons we encompass the finest selection of natural and soothing ingredients that nurture your skin, leaving it feeling soft, smooth and completely hair free. So, if you are looking for a cost effective and efficient method of removing unwanted hair, waxing is an excellent choice. Contact one of our salons for further information today on how we can help provide a fantastic solution to your hair removal requirements.